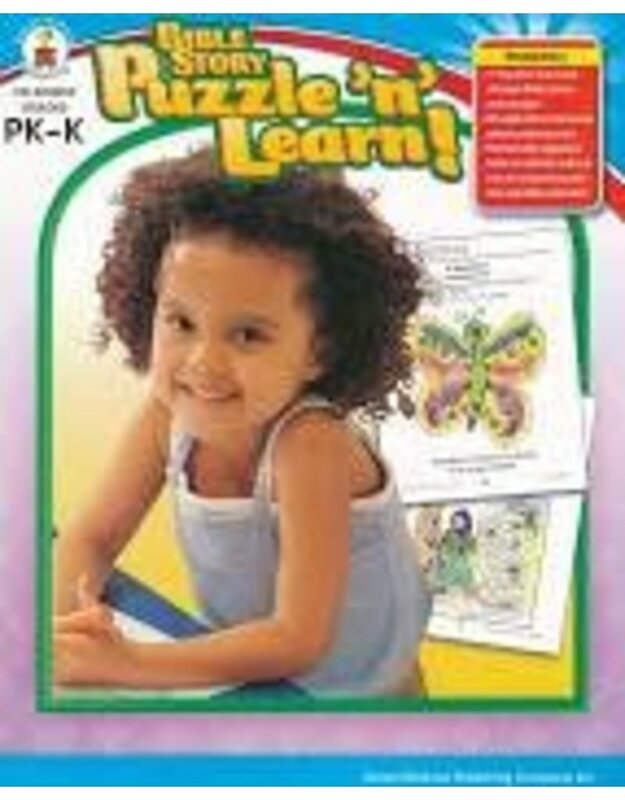 Have fun with faith using Bible Story Puzzle ‘n’ Learn for grades PK–K! The theme of this 176-page book is “God is good and He loves us.” The book includes more than 170 reproducible puzzles with mini-lessons and Scripture verses that captivate children while they learn the major Bible stories and concepts. Compiled from Carson-Dellosa's best-selling Fun Faith-Builders series, these coloring pages and dot-to-dots are perfect supplements to any home, church, or school curriculum and reinforce God’s Word in a way that children always remember.